Major Sean Drummond never says die. Especially when an old flame begs him to defend her brigadier general husband in the biggest treason case in US history. And even when Drummond is up against the fiercest prosecutor in the Army and fighting two murder charges. With an unconventional and beautiful co-counsel, Drummond plunges into an investigation that will unearth a damning array of secrets and cover-ups - and reveal a master manipulator who doesn't care who or what goes up in flames. Listener Shelley this is three in a row from you ! 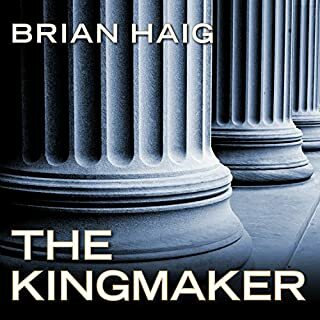 Where does The Kingmaker rank among all the audiobooks you’ve listened to so far? Shelley Interesting I am the one that wrote the review that you mention in your review of the Grey Man's last book. I mean "jumping while driving a convertible onto the under carriage of a small plane taking off? C'Mon.I think your other three were spot on. Please add some new selections. 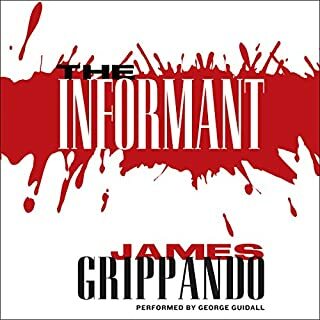 What made the experience of listening to The Informant the most enjoyable? 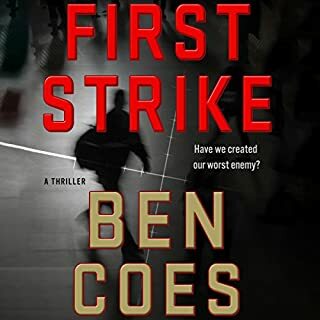 What did you love best about First Strike? Have you listened to any of Peter Hermann’s other performances before? How does this one compare? 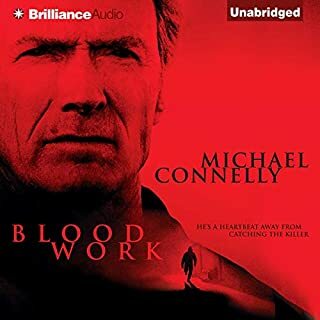 Where does Blood Work rank among all the audiobooks you’ve listened to so far? What other book might you compare Blood Work to and why? 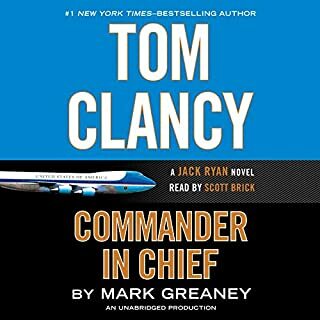 Would you listen to Tom Clancy Commander-in-Chief again? Why? I order books because Scott is the performer. He is always excellent. At this point in his career, I don't think he work narrate a stinker. In Philadelphia - suffering among the country's highest murder rates - the tension between the Philadelphia Police Department and its Citizens Oversight Committee has long been reaching a boiling point. That turmoil turns from bad to worse shortly after the committee begins targeting police shootings - especially those of twenty-seven-year-old Homicide Sergeant Matt Payne, the "Wyatt Earp of the Main Line" - and then the committee's combative leader is found shot dead point-blank on the front porch of his run-down Philly row house. Even Scott Brick could not save it! 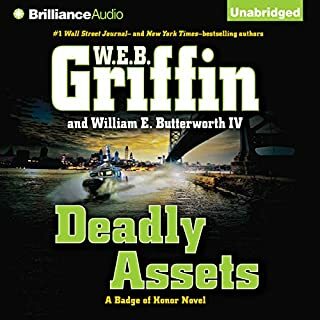 What disappointed you about Deadly Assets? If you could play editor, what scene or scenes would you have cut from Deadly Assets? Not as good as the first two-still EXCELLENT! 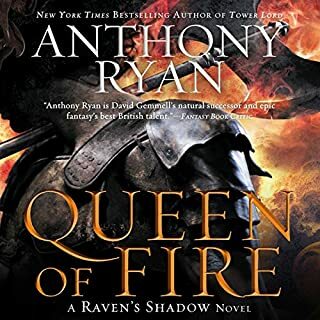 What did you love best about Queen of Fire? What was one of the most memorable moments of Queen of Fire? 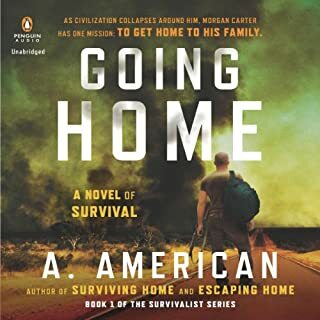 Did Going Home inspire you to do anything? 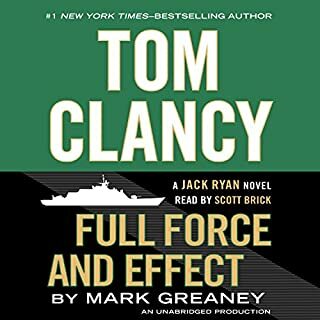 Where does Full Force and Effect rank among all the audiobooks you’ve listened to so far? I was a bit hesitent with Mark Greaney writing in Clancy's name. But took a chance becauseScott Brick was the performer and I didn't think he would be involved with a "stinker" at this point in his career. And I was correct-great work Scott! A Must read for High School Freshmen! What did you love best about 1776? 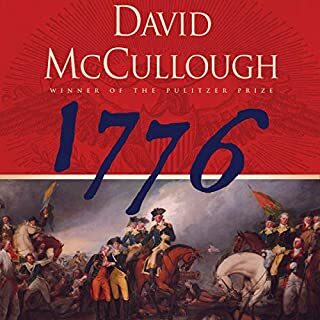 What was one of the most memorable moments of 1776? Which character – as performed by David McCullough – was your favorite?